Need help texting your ex? Did your ex just text you out of the blue? Are you missing your ex and thinking of texting them? Do you seem to be in a never-ending cycle of dating disasters? If you're actively looking for love then you're probably going to fail at least once. It's normal. It happens to just about everyone. Finding the partner of your dreams on the first go is pretty much something of fairy tales. But if you are reading this, then you already know that. These failures have a name. You probably also already know that not all exes are created equal. There are exes that completely fall out of your life after you break up, and exes that pop up from time to time, or all the time. And exes that are not so nice. I've created an easy way to start picking up the pieces after your breakup and take back control of your life. Friends are great at giving advice. They can be a godsend helping you pick out an outfit for an important meeting, tweaking your diet after the holidays, or choosing the right cell phone plan. But they aren't always the best "go-to" source for problems with your ex. They probably have their own opinion about the person that taints the advice they dish out. That's why you need tools to take a neutral look at the situation. This guide starts from the root of the problem – understanding toxic relationships. I've put together a quick exercise to help you break the cycle of dating the wrong people by understanding what your deal breakers and makers are. Stop kicking yourself for repeating the same relationship mistakes. 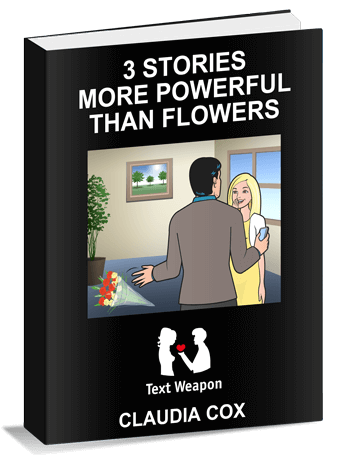 Stop obsessing over what to text your ex, or how to understand why they got back in touch. Take back control of your romantic life. Learn how to text your ex!